Introducing New 2015 model William Optics Dura-Bright diagonal - a dramatic step forward in the evolution of mirror diagonals! This 90° 1.25" mirror-type star diagonal from William Optics # D-125D-C-DB has a Dura-Bright mirror with 1/12 wave surface accuracy and dielectric mirror coatings for 99% reflectivity which provides higher contrast and resolution during critical planetary, lunar and binary star observations. 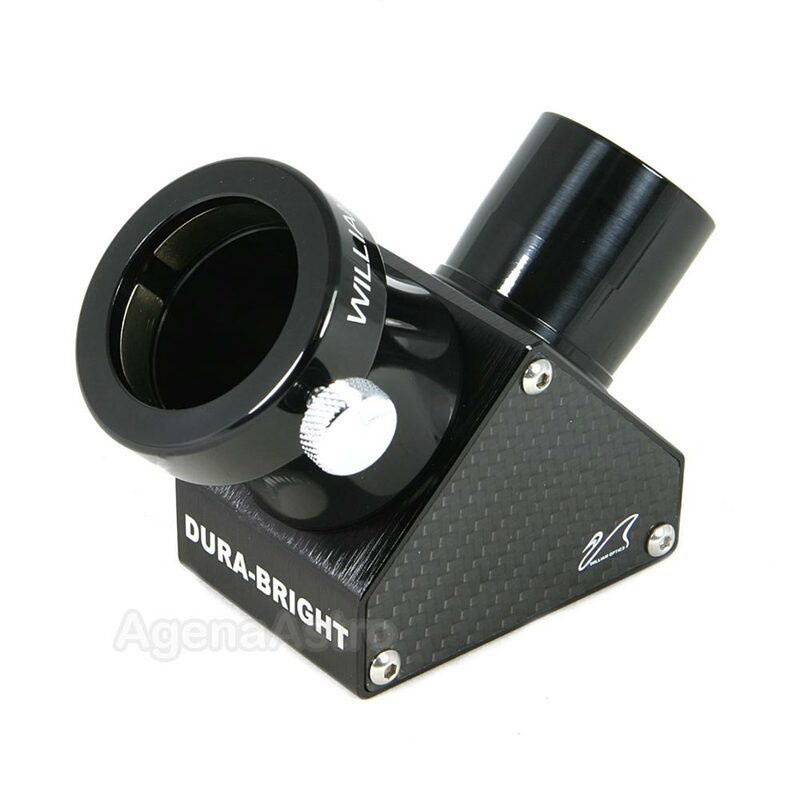 Features a 1.25" nosepiece for insertion into refractor telescopes and other 1.25" focuser barrels. Polished to 1/12th wave accuracy. Threaded for standard 1.25" filters. Internal safety stop prevents 1.25" barrels from hitting the mirror. 5.0 (Based on 7 Reviews) 100% of reviewers recommended this product. A very beautiful piece of equipment! Can't wait until the weather once cooperates so I can finally use it. Solid and well built and I'm sure it'll perform beyond my expectations. Great quality product. Fast shipping from Agena. Very good quality mirrors and quality built. I can fault neither the esthetics nor the function of this star diagonal. Good job, Williams Optics! Not only great to look at, but a very well made diagonal. High precision alignment, stars look the same with the diagonal in place as they do without the diagonal in place. Much higher quality than the TV diagonal it replaced. Review by Bill of Madison WI. This diagonal is bright, accurate, and lightweight. Perfect complement to smaller travel scopes.